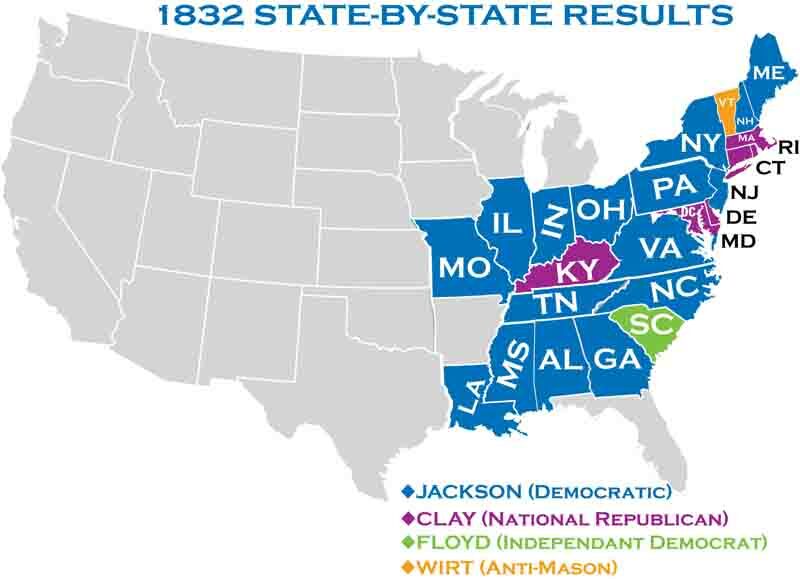 1832 was the first election in which the candidates were nominated by national nominating conventions. 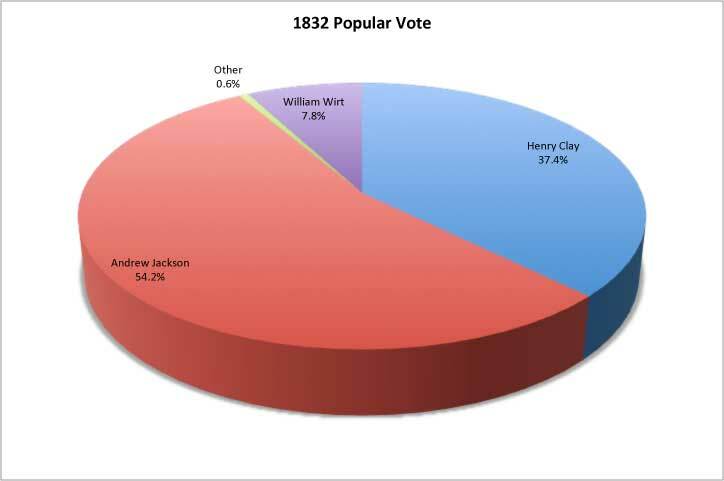 The Democrats met in Baltimore, and overwhelmingly nominated Andrew Jackson. Henry Clay was nominated by the National Republicans at their convention in Baltimore. The major issue in the campaign was Jackson's determination to eliminate the Bank of the United States. Jackson had vetoed the bill reauthorizing the bank shortly before being renominated. Henry Clay decided to make that veto the major issue in the campaign. Clay's campaign headquarters were in Pennsylvania, where the bank was head-quartered. Thus, Clay was very popular at home. However, Clay’s strategy backfired. The bank was widely considered a tool of the rich. As a result, the bank was extremely unpopular. 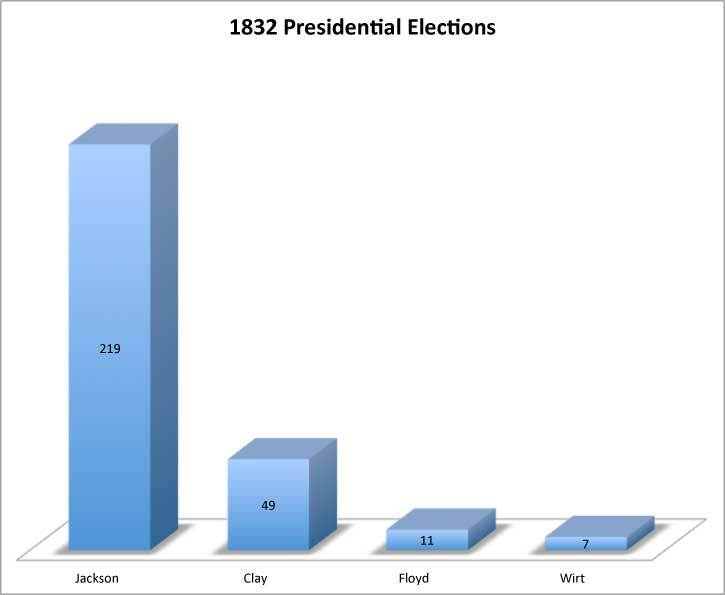 Jackson won by an overwhelming margin.